Apple just finished launching the latest iteration of the iPhone, with the expected 8 and 8 Plus replacing the 7 and 7 Plus, but in an interesting twist, there’s also a new iPhone X—pronounced iPhone ten. I have no idea what Apple is going to call the mainstream iPhone in two years, once it’s done with the 9 and 9 Plus, but let’s talk about the X for a moment. Apple is known for creating some impressive hardware, but I have to say I’m not feeling any itch to upgrade from my iPhone SE—and no, animoji isn’t helping, though they do prove you can make something even more terrible than The Emoji Movie. The A11 SoC at the heart of the new iPhones looks good, promising better performance than the A10 while using less power, with a net gain of two hours of battery life. The A11 is also the first SoC to feature an Apple-designed GPU, which Apple says is as fast as the A10’s GPU while using half the power. Then there’s the (nearly) full coverage edge-to-edge display, the main selling point. So far so good, but the price is a swift, sharp kick in the wallet: $999 for the 64GB iPhone X—and the 256GB model pushes that to an even higher $1,149. 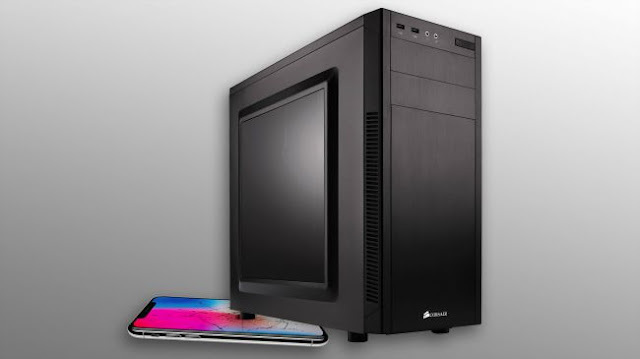 That’s a lot of money for a smartphone, and in fact it’s enough that we can put together a complete high-end gaming PC! 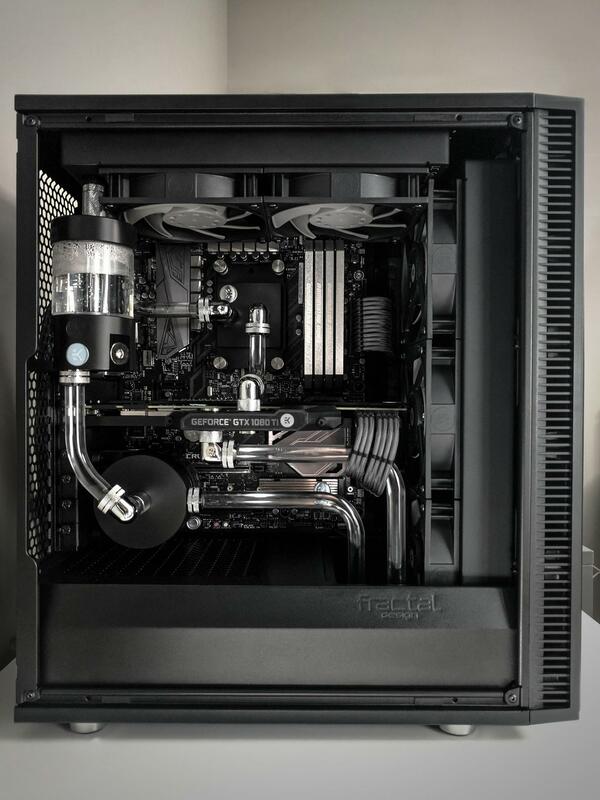 Wait, a “high-end gaming PC” for $999? Hell yeah! I’m not talking about some namby-pamby build with a midrange GPU, either—for this sort of cash, we can even shove in a GTX 1080 graphics card. How does that compare to the Apple A11 GPU? Best-case, assuming similar performance to the PowerVR GT7600 Plus used in the A10, we’re looking at 346 GFLOPS for the iPhone vs. 11791 GFLOPS for the GTX 1080—or about 34 times more performance from the desktop graphics chip! And it’s actually more than that, as the iPhone GPU typically can’t sustain peak performance for long due to heat concerns. We’ll have to compromise in a few places, but here’s what I came up with. Okay, so I’ve left off the OS, keyboard, mouse, speakers, and display—you have those already, right? You’ll also need to wait on a mail-in rebate to keep the cost under $1,000, or make a few changes to the parts I picked, but otherwise we’re golden. Here are a few quick thoughts on the components. First, the GPU is the heart of any gaming PC, and it’s the component that can take every spare penny you have. The GTX 1080 has been relatively free of interference from the cryptocurrency miners, and it’s a solid 25-30 percent faster than the GTX 1070. If you want to shave the price down a bit, the 1070 is a reasonable alternative, but I’d rather have the even beefier GPU. The GTX 1080 can handle the vast majority of games at 1440p max quality while still delivering more than 60 fps. It’s not as fast as the GTX 1080 Ti, but the current price makes it arguably the best solution for gaming enthusiasts right now, and it should keep you happily gaming for the next several years. MSI’s GTX 1080 Duke OC wins out for having a factory overclocked card at the lowest price we could find for a GTX 1080. The CPU might look a bit suspect—only a Core i5-7400? Having benchmarked plenty of games, I can say that the CPU often isn’t that important, particularly if you’re running at 1440p—which is what you should be doing with a GTX 1080. There are many faster CPUs for non-gaming and gaming tasks, and the GTX 1080 could really benefit from a Core i7-7700K, but but for under $200 AMD’s Ryzen 5 chips won’t usually beat the i5-7400 in games. And this is very much a gaming focused build, though it can still handle livestreaming and other tasks in a pinch (if you use GPU-assisted video encoding, which for Twitch is more than adequate). I’m a bit more concerned about the motherboard, as I’ve had bad luck with budget boards in the past, but the MSI B250 PC Mate is one of the least expensive ATX boards around, and since there won’t be any overclocking it should suffice. Choosing memory is basically a question of finding whatever strikes a good balance between clockspeed, timings, and price—though here price was a bigger factor. The Adata XPX DDR4-2666 memory is decent, with the main drawback being 8GB total instead of 16GB. For storage, I usually like to go with an SSD for the OS, but for gaming you’ll want more storage, and I wanted to stay below $1,000, which leads to another compromise. The Seagate FireCuda 1TB is actually a hybrid storage drive, with an 8GB NAND flash buffer to help improve access times for frequently used files. Basically, it’s better than a pure HDD solution, with a cost that isn’t much higher—perfect for a price focused gaming build. Wrapping things up, there are plenty of case options, but I like stuff that’s not too garish. I’ve had good luck with Corsair cases, and the Carbide 100R is understated, attractive, and fairly easy to work with. 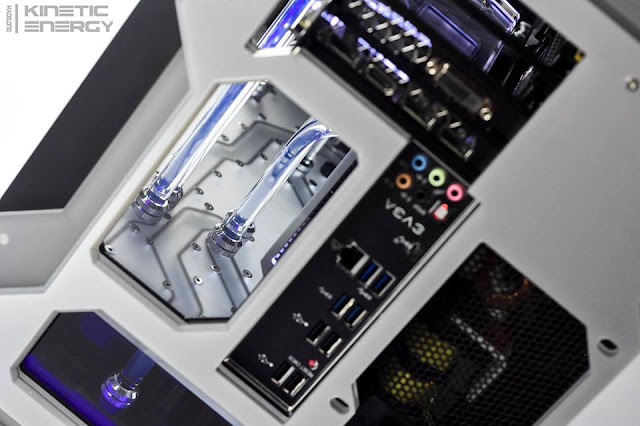 If you have a favorite alternative case, by all means go there—just make sure it’s the right size for your motherboard choice. For the power supply, I wanted 80 Plus Gold if possible, and here Rosewill often shows up as the least expensive option. I have a couple of Capstone PSUs that have worked fine for me, and the $15 MIR is a bonus that brings the price down to just $40. Or you could go with a less efficient 80 Plus Bronze option like EVGA’s 500 B1 if you don’t want to deal with MIRs. The final tally ends up being a hair under $999, so you can treat yourself to a burger or beer—your choice! You can potentially make a few small adjustments and still stay under a grand, and more importantly, this is a gaming build capable of handling any modern game. But it can’t fit in your pocket, and there are no animojis to speak of. In short, Apple’s iPhone X might win in portability and efficiency, but when you just want some raw power there’s no beating a desktop PC. And no one’s going to hold a press conference next year telling you all about the exclusive features of the PC 2, which your poor, outdated PC just can’t handle.